Morgan caught five passes for 36 yards in 11 games this season. Analysis: Morgan saw all of his production come within his first four games as he missed four midseason games due to a knee issue, only to receive no targets upon his return. The 25-year-old has 16 career receptions for 135 yards and one touchdown in 38 games. He's under contract for one more season with the Vikings. Morgan (knee) does not have an injury designation for Sunday's game against the Lions. Analysis: Morgan will play through a lingering knee issue during Sunday's divisional tilt. Expect the third-year tight end to see most of his offensive usage as a blocker, as usual. Morgan (knee) was a limited participant in Wednesday's practice. Analysis: Morgan continues to nurse his lingering knee issue. The depth tight end was able to play through his injury during Sunday's win over the Dolphins after having missed four straight games. If Morgan is able to suit up against the Lions in Week 16, his blocking abilities will bring a notable boost to the Vikings' offense. Morgan (knee) is active for Sunday's game against Miami, the St. Paul Pioneer Press reports. Analysis: He's missed four games due to the injury but returned to practice this week. Morgan's absence has been frequently cited in Minnesota's offensive struggles the past few games due to his blocking ability. Morgan (knee) is questionable for Sunday's game against the Dolphins, Courtney Cronin of ESPN.com reports. Analysis: Morgan was a limited practice participant this week to earn the questionable tag and has a chance to return after missing the last four games. Tyler Conklin will continue to serve as the Vikings' No. 2 tight end should Morgan be unable to suit up Sunday. Morgan (knee) has been ruled out ahead of Monday's contest against the Seahawks. Analysis: Morgan is now slated to miss his fourth consecutive game after suffering a knee injury in Week 9. 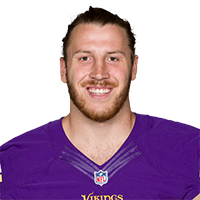 Tyler Conklin is expected to serve as the Vikings' No. 2 tight end in his absence with Kyle Rudolph slated to take on his typical role as the starter. Morgan (knee) didn't participate at practice Friday, Ben Goessling of the Minneapolis Star Tribune reports. Analysis: Morgan suffered the knee injury Week 9 against the Lions and has missed the last three games. The 25-year-old appears questionable at best for Monday's game at Seattle and will likely need to return to practice Saturday in order to have any chance of suiting up. 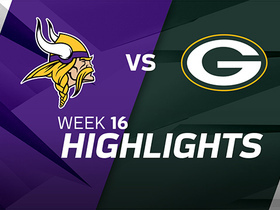 Morgan (knee) was ruled out for Sunday's Week 13 game against the Patriots, Andrew Krammer of the Minneapolis Star Tribune reports. 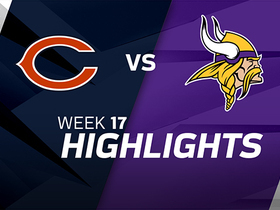 Analysis: Morgan suffered the knee injury Week 11 against the Bears and will miss his second straight game. Tyler Conklin should continue to serve as the Vikings' No. 2 tight end behind starter Kyle Rudulph in his absence. Morgan (knee) did not practice Wednesday. Analysis: Morgan continues to nurse a knee issue suffered during a Week 9 win over the Lions. The third-year tight end has missed two consecutive games due to the injury and likely will need to fully practice at some point this week for any chance of suiting up against the Patriots on Sunday. Morgan (knee) was ruled out for Sunday's game against the Packers. Analysis: Morgan will miss his second straight game since suffering the knee injury Week 9 against the Lions. Tyler Conklin will continue to see limited snaps as the Vikings' No. 2 tight end in his stead. Morgan (knee) was ruled out for Sunday's game against the Bears. Analysis: Morgan sustained the knee injury Week 9 prior to the Vikings' bye and was unable to return to practice this week. Tyler Conklin will serve as the team's No. 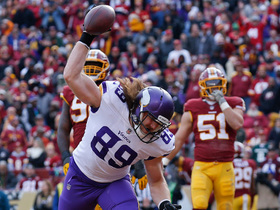 2 tight end behind Kyle Rudolph in Sunday's divisional matchup. 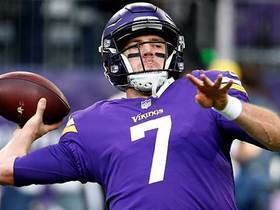 Morgan won't return to Sunday's game versus the Lions due to a knee injury, Andrew Krammer of the Minneapolis Star Tribune reports. Analysis: Morgan was bothered by a knee injury earlier this year, and it's unclear if this is related. 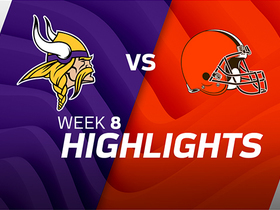 It mainly hurts the Vikings' depth and run-blocking abilities, since Morgan has just five catches for 36 yards this season. 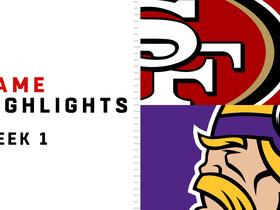 The Vikings have a bye in Week 10, so Morgan will have additional time to recover. 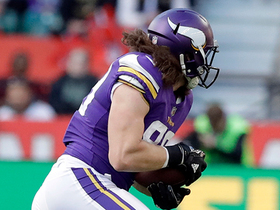 Minnesota Vikings quarterback fires to tight end David Morgan who runs for a 23-yard gain. 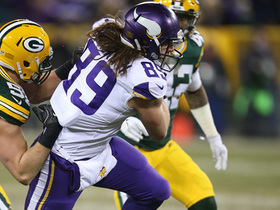 Minnesota Vikings tight end David Morgan explodes through Green Bay Packers' defense for 23-yard gain. 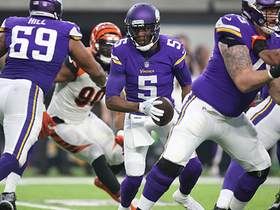 Teddy Bridgewater laughs off first interception since injury. Minnesota Vikings tight end David Morgan brings down his first reception of the 2017 NFL season.